THE BRAINSTEMS are 4-piece based in St. Louis, Missouri. 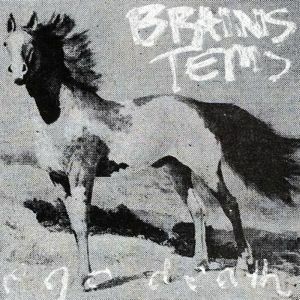 Their new set of demos follows up their Cold Sweatin’ cassette from last year, continuing their run of post-punk bent garage rock. The three tracks here offer up a wildly cohesive listen in just over 10 minutes of material. It’s crazy how much explosive energy they crammed into such a short block of time. But they don’t waste a second – they’re coming straight for your throat from start to finish, over fuzz-fucked guitars and chunky bass lines that sound as if they’re scratching up against the pavement. “Stallioning” starts with an electrified jangle and a groggy bass line. The rhythm takes a hold and you suddenly find yourself right in the thick of their 10-minute fit of rage, leading you through a crusty, surf-infused torrent. “The ID” is a completely blown-out punk stomper, built with a wailing saxophone that only adds to their psychotic approach. They continue to pierce our eardrums in “Elevators & Escalators,” opening with a quieter intro before totally reducing you to pieces with a beam of wiry guitar hookage. They throw in another twist or two to keep you guessing, but there’s really no easy way to describe what’s happening here – just get down and dirty and listen for yourself. Then don’t be surprised when you start seeing their name around the blogosphere. 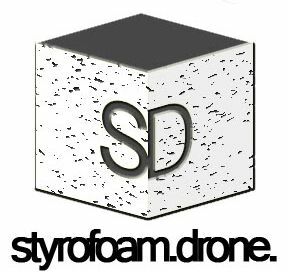 Posted on March 24, 2015 by styrofoamdronePosted in EP, ReviewsTagged Ego Death Demos, garage rock, post-punk, surf rock, the Brainstems.